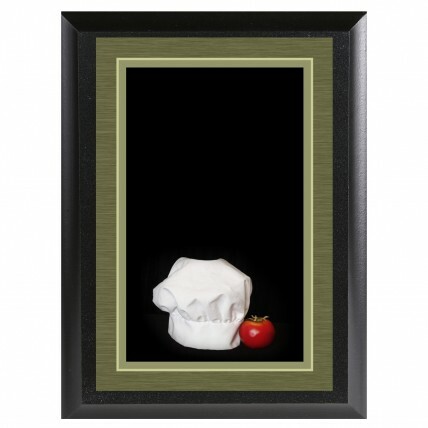 This Top Chef Plaque will show your appreciation for that special culinary master. This fun personalized appreciation plaque features a realistic chef's hat and tomato and awaits your personal engraving. This appreciation plaque for bakers, chefs, cook-offs, or BBQs is available in two sizes and can also be used as a great joke award!